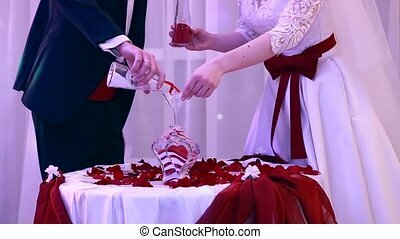 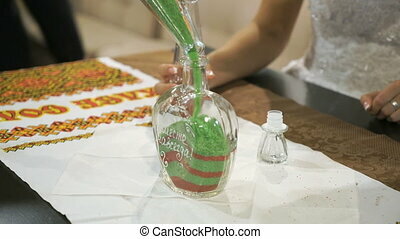 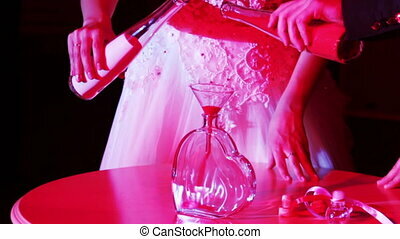 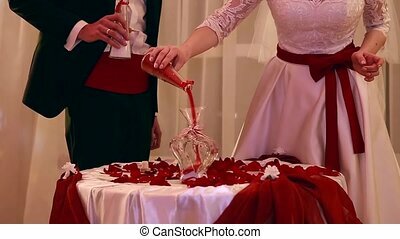 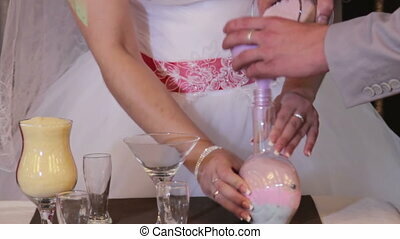 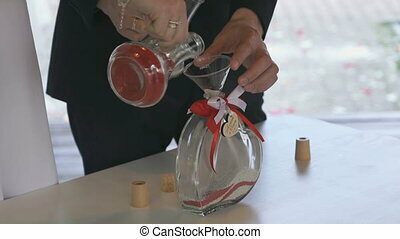 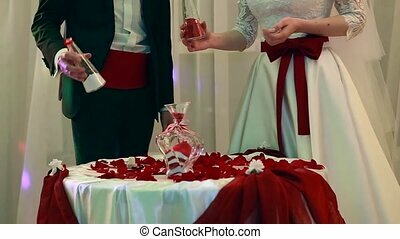 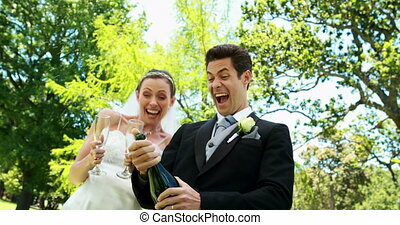 Newlyweds Pour Colorful Sand In Glass During Wedding Celebration. 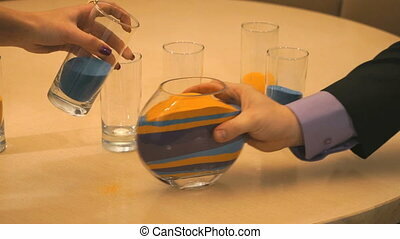 Newlyweds pour colorful sand in glass during wedding celebration. 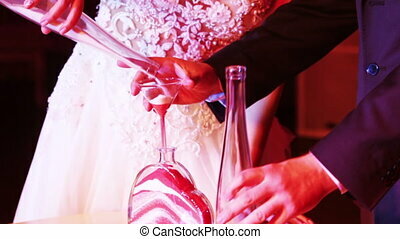 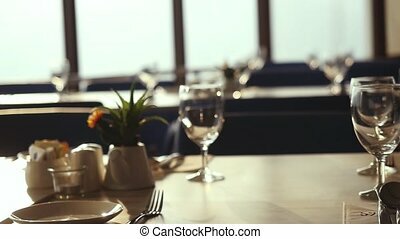 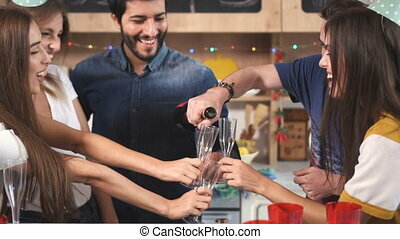 Wineglasses that are filled with sparkling shampagne stand on table near them. 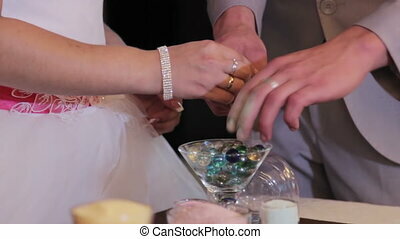 One by one they lay into vase their parts of marine bulk grains that symbolizes eternal union of souls for many years. 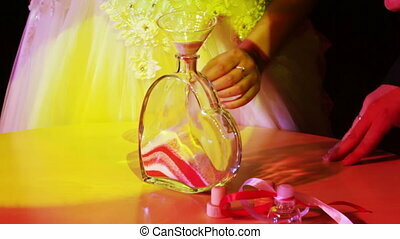 Fiancee has white mass and groom has blue one, they are different, like people that keep them, but connected in one substance. 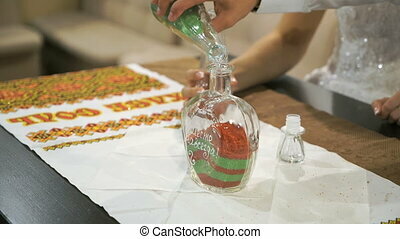 This old tradition has come from asian countries and were prasticed for long time on island Ibiza.